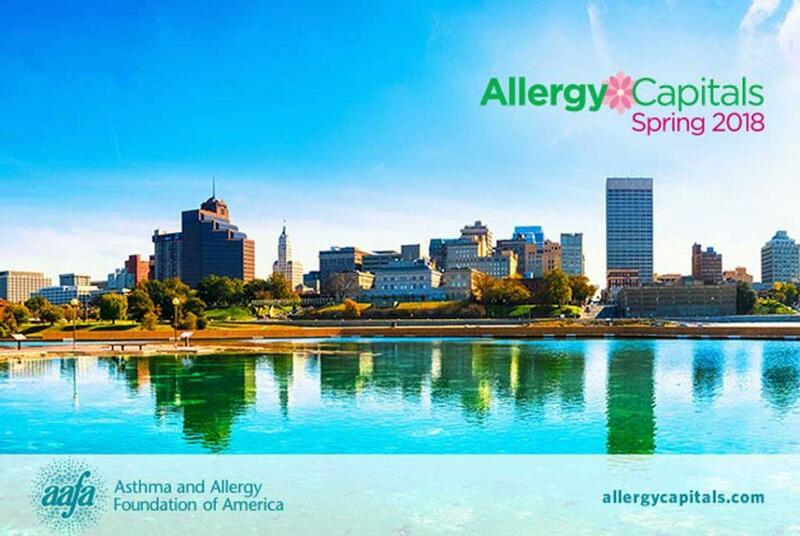 The Asthma and Allergy Foundation of America (AAFA) – our U.S. partner for the Certification Program – has released the Spring Allergy Capitals™ report for 2018 – click here to read the report. AAFA’s annual Spring Allergy Capitals™ report gives an insight on which U.S. cities are the most affected by spring allergies. This report aims at helping communities to recognise, prevent and manage allergy symptoms. It also helps communities to recognise where the needs of their residents with allergic diseases can be better met. Th objective of the ranking is to seek awareness about the impact of spring seasonal allergies but also to provide helpful information to improve the quality of life for the people who experience them. To take action to lessen the amount of pollens people are exposed to and then reduce allergies, AAFA offers various recommendations including using a CERTIFIED asthma & allergy friendly® air cleaner. So that manufacturers can help consumers tackling spring allergies, Allergy Standards recently developed a new standard for whole home cleaners.